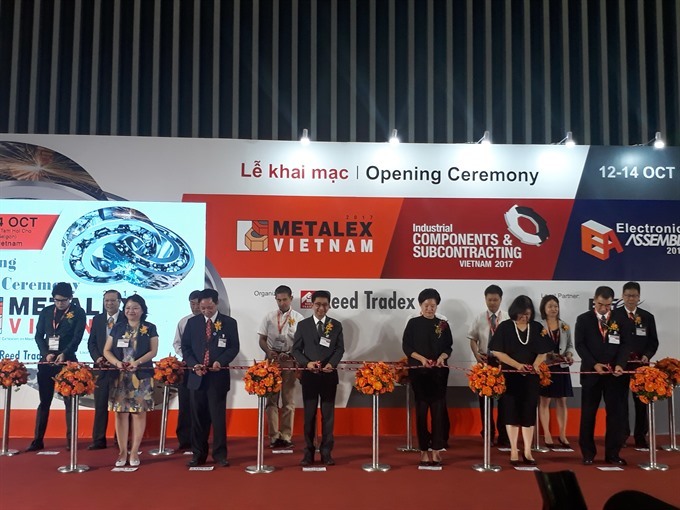 HCM CITY — Advanced metalworking solutions, electronics assembly technologies and industrial grade parts are on display at three exhibitions that opened at a single venue in HCM City on Thursday (October 12). 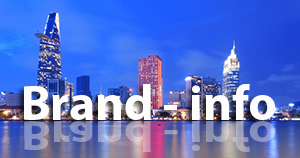 Metalex Vietnam, Vietnam Electronics Assembly and Industrial Components and Subcontracting Vietnam feature over 500 brands from 25 countries and territories, and 10 international pavilions from China, Germany, Japan, Korea, Singapore, Taiwan and Thailand. 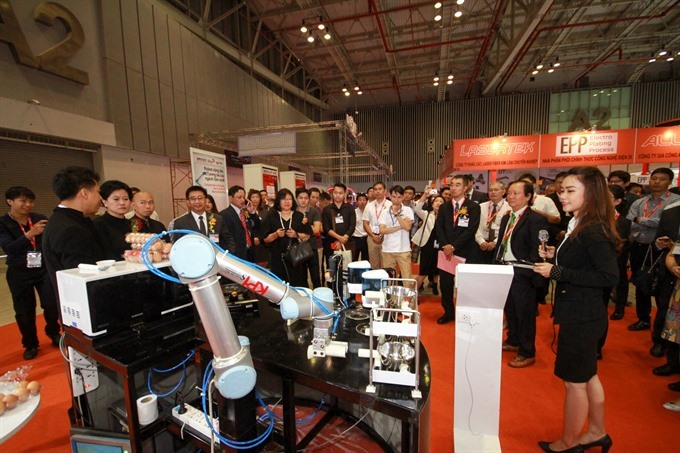 Metalex Vietnam 2017 brings a new experience for Việt Nam’s manufacturers with its “Universal Robots Chef & Barista” and “The Drone Racing Technology Showcase”, which are organised in Việt Nam for the first time. “The Drone Racing Technology Showcase” will display the latest models of drones by Furious FPV. In addition to seeing the exhibits, visitors can also learn about components and drone assembly, along with experiencing “Virtual Reality Drone Racing Competition” and dance performances. 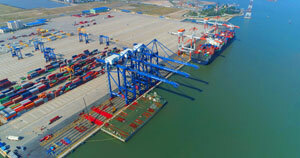 Other activities such as a “Koma Taisen” competition and “Engineer Master Class” to provide experiences to enterprises in the process of developing the local manufacturing and supporting sectors and connect businesses will be held on the sidelines of the three events. The events will be a good chance for Vietnamese enterprises to learn about advanced machine tools, solutions and services, and to keep pace with current manufacturing trends. Iku Hara, director for overseas market development, commerce and industry division, at the Tokyo Metropolitan Government, said 15 SMEs from the Japanese capital are displaying a wide range of technologies and products from level sensors to parts for aircraft at the Tokyo Pavilion.